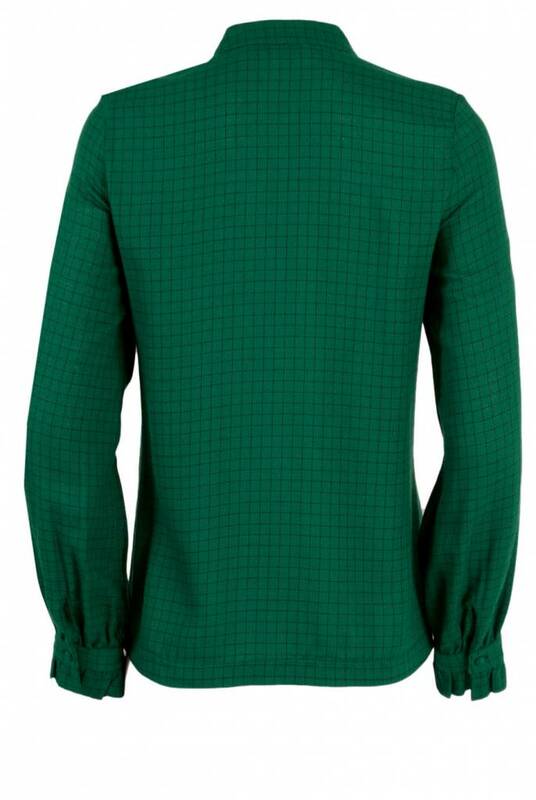 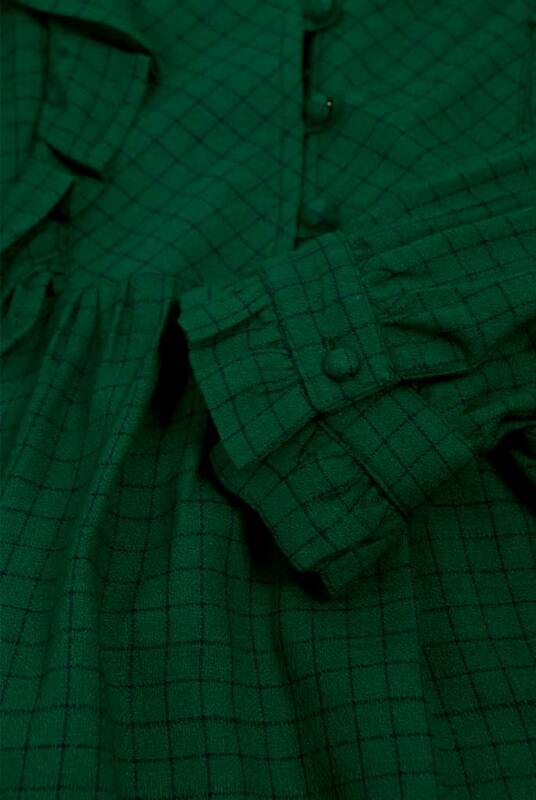 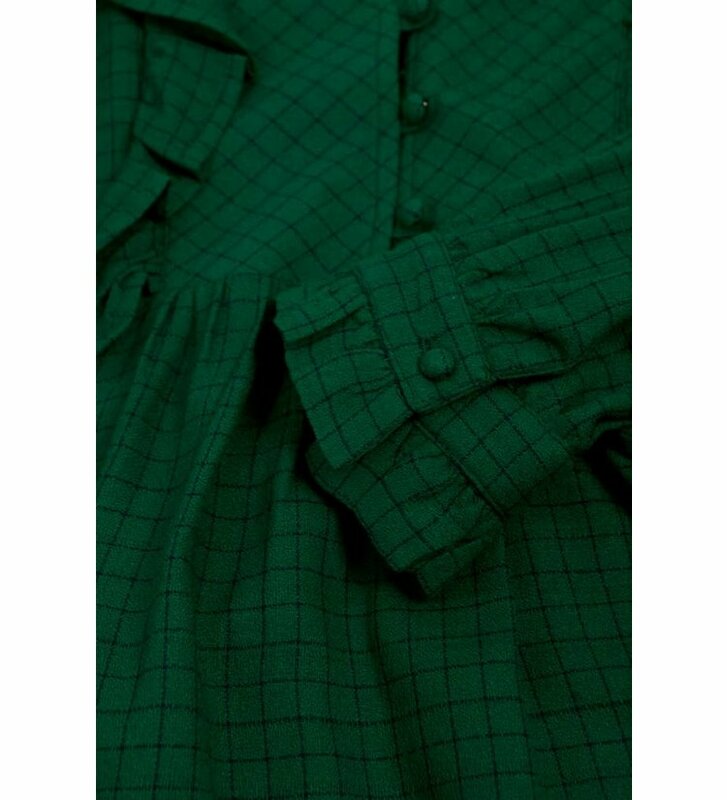 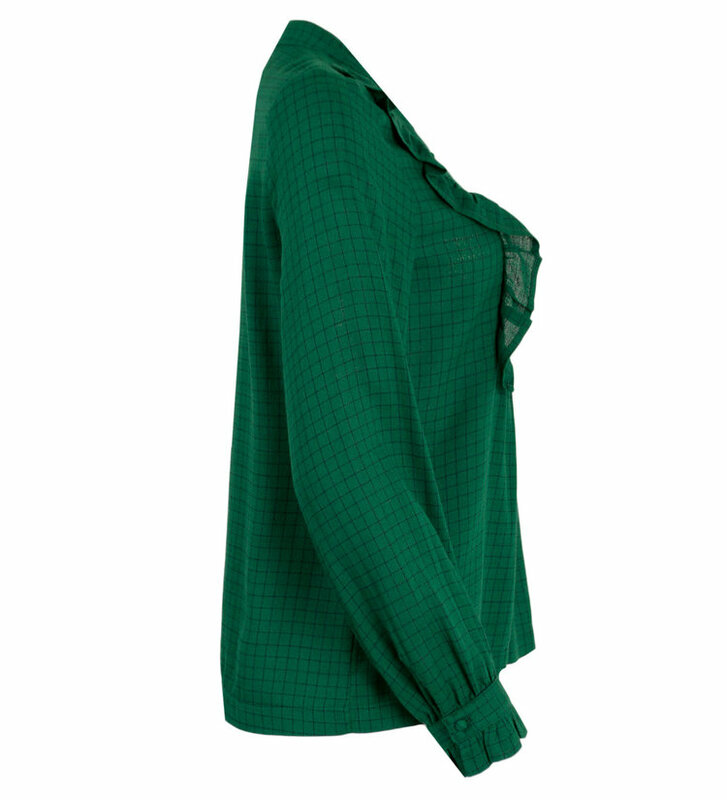 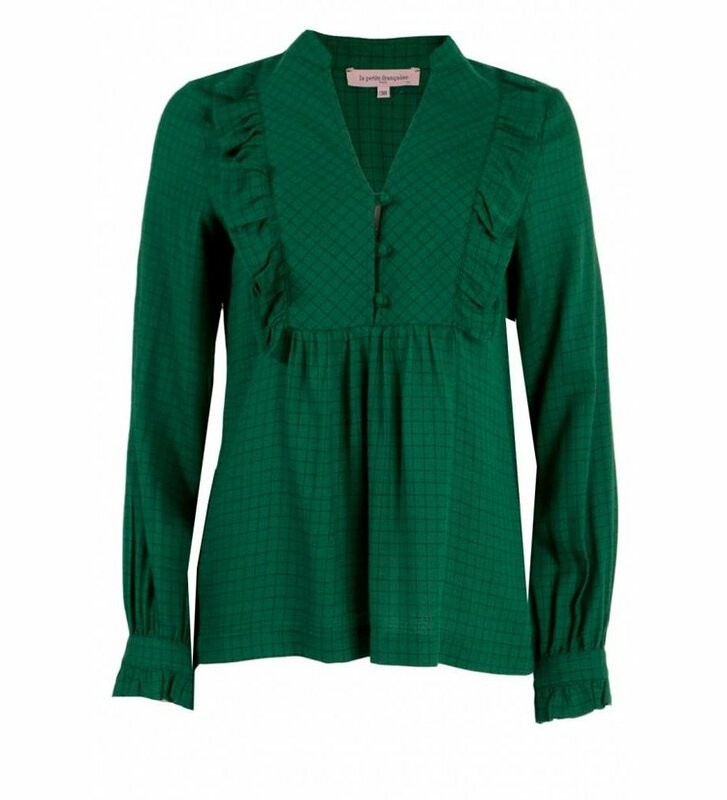 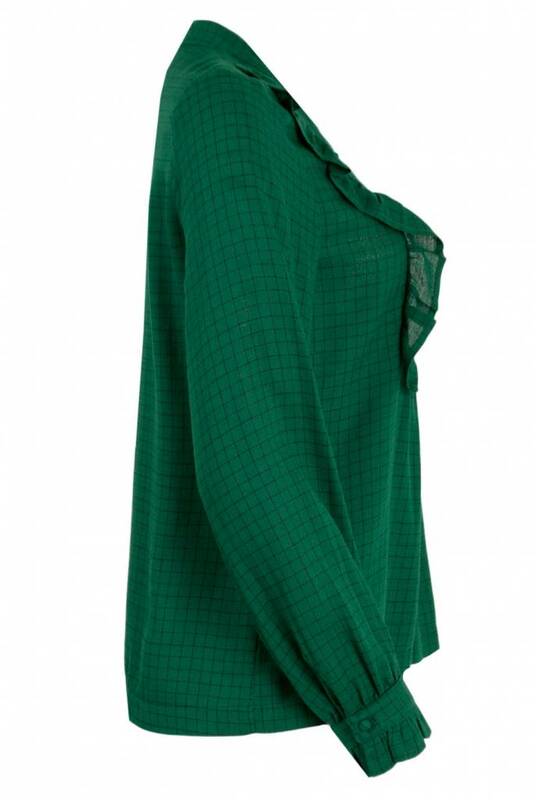 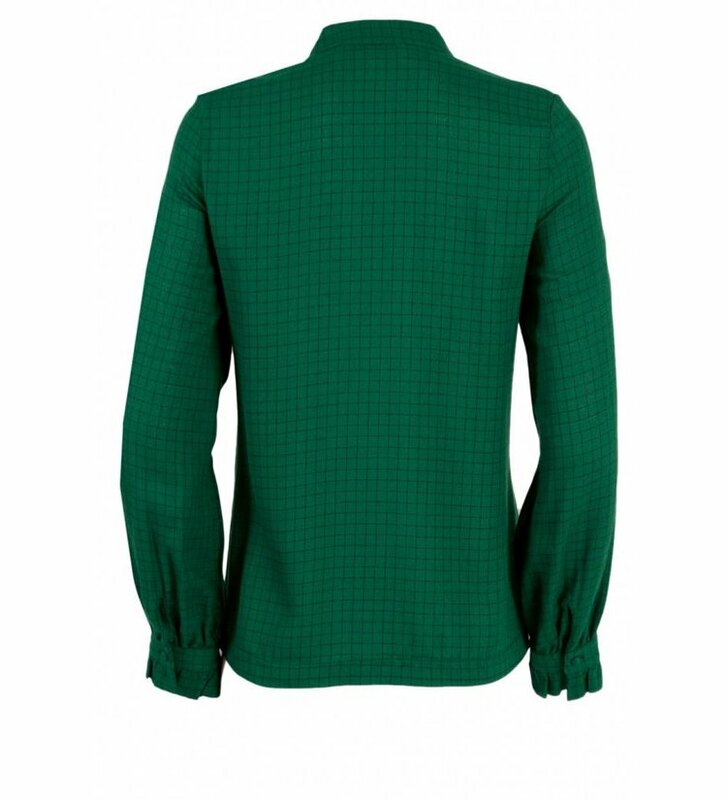 Top with checkered pattern Brave Blouse Carreaux Vert from La Petite Française. 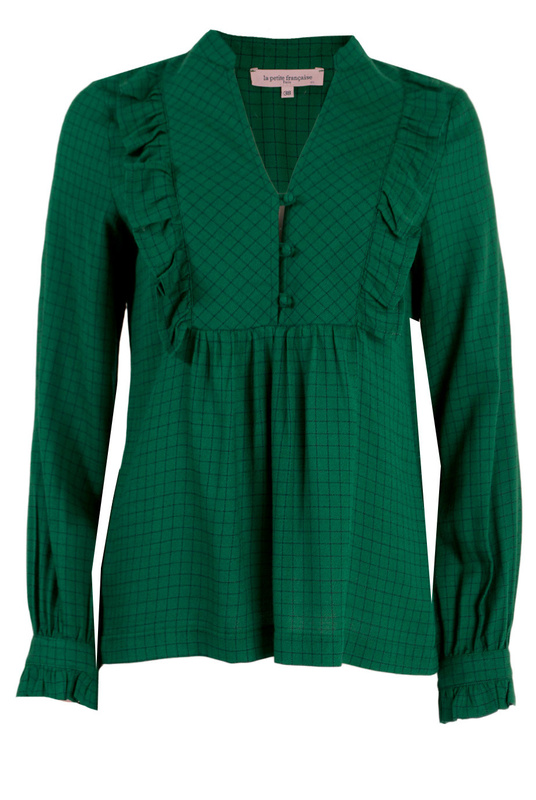 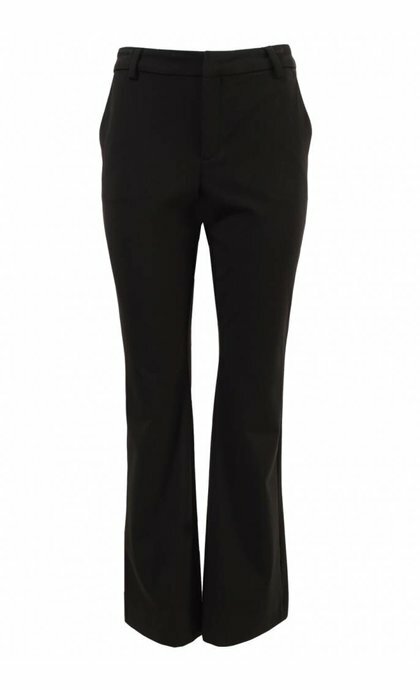 The blouse has a V-neck with a collar, a button fastening in front and long sleeves. The cuffs and front of the blouse are finished with ruched trimming.